Ralph I thought QuickHelp started in '85 before you joined Microsoft? No, QuickHelp was first written for OS/2 by yours truly. I started it in fall of 1987, and it was probably released for OS/2 the following spring. I can't remember when the Languages group approached me to port it to DOS but it was probably that summer. I do remember that after I ported it I went to my manager and begged him that if I ever again agreed me to port something from OS/2 to DOS he was to take me outside and shoot me. I do recall that there was another company that had a character-based help system used for Programmer Reference material. My manager and I looked at it, decided it was really terrible and that we should do our own for OS/2. Unfortunately, what I can't remember was the name of the company or the name of their help system. The help system only lasted a couple of years and I don't recall it ever being updated. But it's certainly possible it was out a couple of years earlier and that might be what you are remembering, Rob. Was that Norton Guides or something like that? Ah yes, that sounds right both in terms of the description and the date. The wikipedia article says it appears to be the first use of an online reference guide, and I would agree with that. Right so OS/2 1.0 (announced in April '97 and released Dec '97) was a text only based OS. Presentation Manager (GUI), was introduced with OS/2 1.1 in October, 1988. So how much stuff did the Help team write for OS/2 before MS went their own way? I must admit I'm amazed at the constant stream of releases. For OS/2 1.0 a DOS system in April '97 then only a year later OS/2 1.1 a GUI system (October, 1988). So Wikipedia says "collaboration between IBM and Microsoft unraveled in 1990, between the releases of Windows 3.0 and OS/2 1.3. Ralph, must have been interesting internally? Actually that's the history of MS isn't it. A roller coaster ride of innovation and change. Collaboration with IBM was an "interesting' experience -- in as much as there was a huge culture clash between the two companies. However, I think it would be incorrect to say the collaboration unraveled. It was simply what was happening in the market -- Windows 3.0 was hugely successful and OS/2 was a flop as far as the marketplace was concerned. It just didn't make sense for Microsoft to continue with a large development effort on OS/2 when customers were clearly favoring Windows. As far as OS/2 GUI (it was called Presentation Manager), I looked at WinHelp and decided that it was totally inadequate for displaying programming reference material. I think Leo was already working on a OS/2 PM version of the Microsoft Advisor engine without my having to twist his arm first. I know I was pretty far along with the GUI QuickHelp interface that would sit on top of it and we had a preliminary version up and running. I also recall arguing with IBM that our help system was better than the one they wanted to put in place. IBM's system was based on bookmaster, and the only editor they had for it ran on a mainframe. They saw absolutely no problem with requiring all help authors to use a mainframe to create their help content for the PC. Yes, I am serious. Anyways, in the meeting with their help team, we compared performance between their system and QuickHelp -- which thanks to Leo's performance tuning was vastly (20 times or so?) faster then their system. I'm sure we would have argued over the GUI version, but that all came to an end when Steve Ballmer called an OS/2 team meeting and broke the news to us. Mind you, I had three hats I wore at the time: I did QuickHelp for release with SDK documentation, but I was also one of the main writers of the OS/2 programming documentation (I wrote all the Kernel API documentation), and I was in charge of internal tools for both the end-user and SDK writers for OS/2. After OS/2 was dropped, we were merged with the Windows 3.0 end-user and SDK writers. We were the larger group, so it would be more appropriate to say we took over the Windows documentation team. We had an entirely different system for documentation -- we used a tagged language, and then just wrote tools to convert it to whatever output format we needed. This was deemed horrifying to the rest of the company who insisted that the only way to write documentation was in a WYSIWYG editor. The idea of writing directly using tags was considered totally obsolete. And yes, I did have many a chuckle when RTF was replaced by HTML. I no longer had a help system to work on, and the Windows SDK documentation was, shall we say, rather lacking in information, and the information that was there tended to be wrong. So I was spending a good deal of time working on the docs while complaining bitterly about WinHelp being the help system used to display it. I don't remember it, but I imagine I complained to Leo a lot -- it wouldn't surprise me if he just set up an email rule to delete my email having gotten tired of hearing about how much better I thought QuickHelp was. The morale of that story is to be careful what you complain about -- after the help teamed moved on to MediaView I was able to finagle ownership of WinHelp. That ended my writing career as well as most of my internal tool development as WinHelp required my full attention (well, other then developing Help Workshop and what was then called Flash <which had to be renamed to the lovely name HTML Help Image Editor after Adobe released their Flash>). "Hey Marion, can I show you something?" "No you cannot. I told you we have a code freeze." "I know, but just take a look at this -- it's something we can put in later." "Well.... alright". We go to my office, and I show her the completed feature. "OMG I hate you. Of course we have to include that feature. Now would you please STOP adding features!!!" "No problem. I'll stop. By the way, can I show you one other thing?" Jumping ahead to WinHelp (RTF based help), what were WinHelp 1.x and 2.x releases like and what were their target OS? It's a common misconception that WinHelp is based on RTF. In reality, that was simply the file format that needed to be supplied to the help compiler, which then converted that into an entirely different format for use by WinHelp. The only reason RTF was used was because it could be output by a WYSIWYG editor (WinWord). If HTML Help had not become the viewer, then the compiler would have been updated to take HTML for it's input as well as RTF. It's all tokenized internally. You could use XML if you wanted to. That's another funny thing to me - how much RTF has been maligned. It's really just another tagging language, though perhaps a little more cryptic to read. It would be easy, however, to write an RTF to XML converter that would take the token relationships and create an XML document that represented the same data. I’ve done a little checking – WinHelp 2.x never shipped with the OS, but did ship with a couple apps like Word and Excel as sort of a documentation lib feature – I’ll try and come up with some screenshots for those. Was WinHelp 32bit a difficult port in those days? I assume Win 3.0 (which had a 32bit Enhanced mode) required you to ship both 16bit and 32 bit versions of WH. Win 3.1 was a 32bit OS right? No, WinHelp 3.1 was still 16-bit. WinHelp 4.0 was also going to be a 16-bit app for it's initial Windows 95 release, however the NT folks were quite adamant that they wanted a 32-bit version. They provided a contractor to do the port not only to 32-bit, but also for a couple of RISC platforms NT was developed for as well. WinHelp 4.0 was actually frozen in the Windows 95 tree while the the port was done. Once the port was completed, I had it thoroughly tested and then presented it to David Cole, who was in charge of Windows 95. He agreed to yank the 16-bit version and replace it with the 32-bit version in time for the Release of Windows 95. As I recall, porting it to 32-bit for Intel was fairly straightforward -- it was one of the RISC platforms with a different byte order that was more difficult. Also, do you know at what point the MediaView/InfoTech team broke off or formed? A fascinating thing for me is that a lot of your original work still persists in some levels in the underlying codebase for the InfoTech subsystem that we still use for the Visual Studio Help system. My recollection was that RAWHIDE was the code name for the full text search that was added to MediaView. Leastwise, that was certainly what all the conditionals were around the full-text search code in the WinHelp code base. I'm assuming the start of that full-text search was done around the 3.1 time frame since the code was in WinHelp before WinHelp was split off to form MediaView -- but Leo would know for sure (if he remembers) since that was before I took over the WinHelp code base. I remember first hearing about HTML Help around 1996. 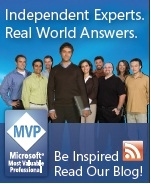 There were rumors that MS was forming the largest dev team ever for HTML Help. It caught everyone's imagination because we all loved HTML (easier to read than RTF and used by the web), and we thought a Help system based on HTML would be equally cool. Can you tell us how the team formed and grew rapidly? What size did it actually get to? Did Bill Gates show a special interest in the project? I'd like to know how the InfoTech team fits in? Were they not quite Microsoft? Why was it always difficult to release information on InfoTech file formats etc? Those were really interesting times. Microsoft and Netscape were competing in the browser wars, and HTML Help - NetHelp became a kind of mini-war. Especially with Peter stirring the pot. He's slightly competitive, you know. Those were interesting times. My part of the browser war consisted of explaining to my manager, Morris Beton, the threat to the Windows platform if NetHelp established itself as the de facto help format, and said with $100k I would guarantee that wouldn’t happen. He said I could have the $100k, provided he didn’t have to spend any cycles at all thinking about or dealing with help, so the next thing he heard about it would be me telling him we’d won, which I agreed to. That was probably in 1998, which I think is when I started sponsoring the help conferences, and spun up the Help MVP program, and helped Wexler get his MS Press book deal, and organizing Help Summits for help authoring tool vendors so their heads would be filled with questions and ideas about working with HTML Help rather than NetHelp, and making sure Ralph and Kate were keen to help the vendors do that (which wasn’t hard, I got the impression they enjoyed working with vendors and the community more than their day jobs). = MS internal reaction to Ralph announcing HTML Help at WinWriters - short version, "Did anyone review and approve that announcement? No?! Yikes!"